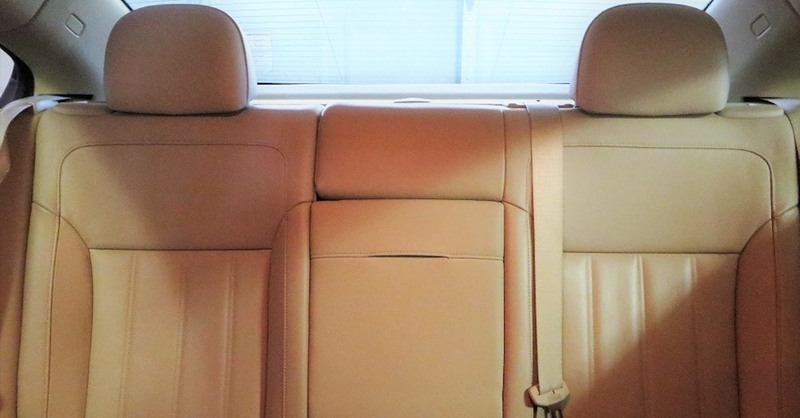 Spills, greasy food, ink, pet stains, all of these are potential hazards to your upholstery. 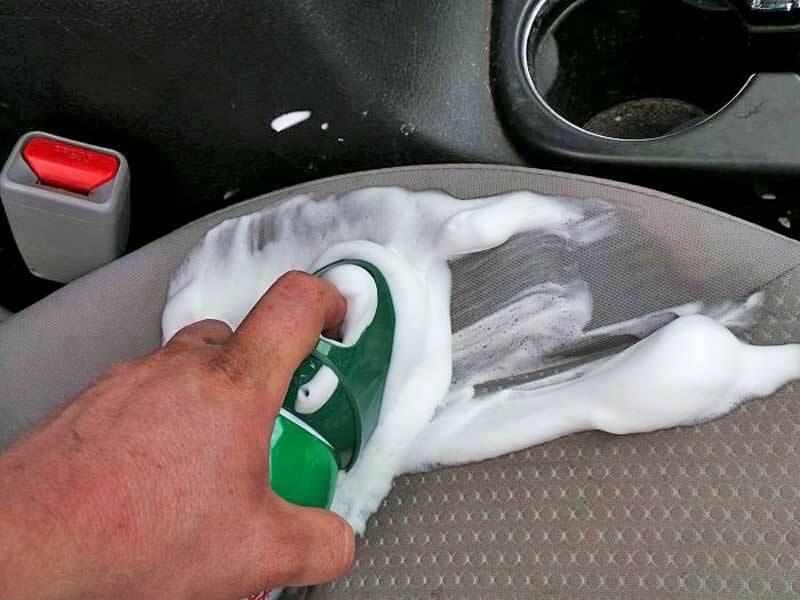 Once these stains set in, ordinary cleaners are not going to get very far in removing them. 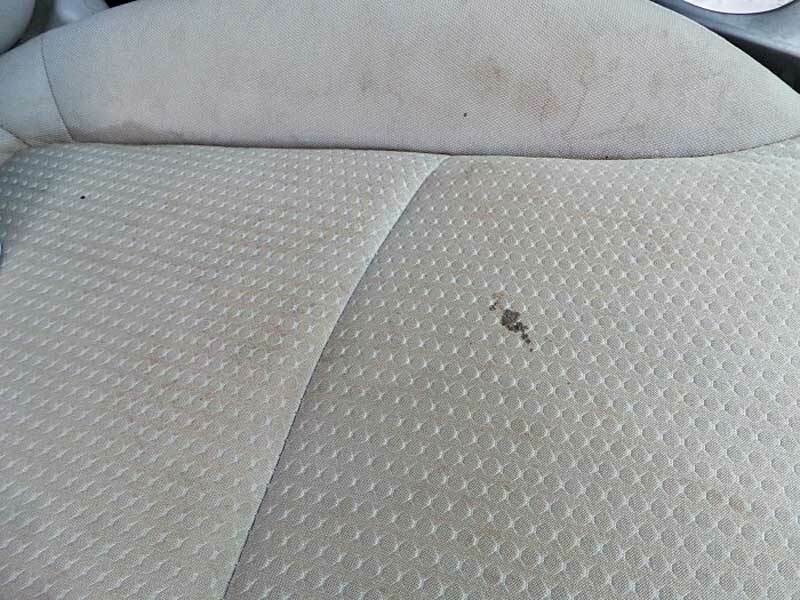 You need something designed to clean car upholstery specifically, penetrate the stain and remove it without damaging the upholstery itself. We think we have found just the stuff. This seat has some spill stains from greasy food. 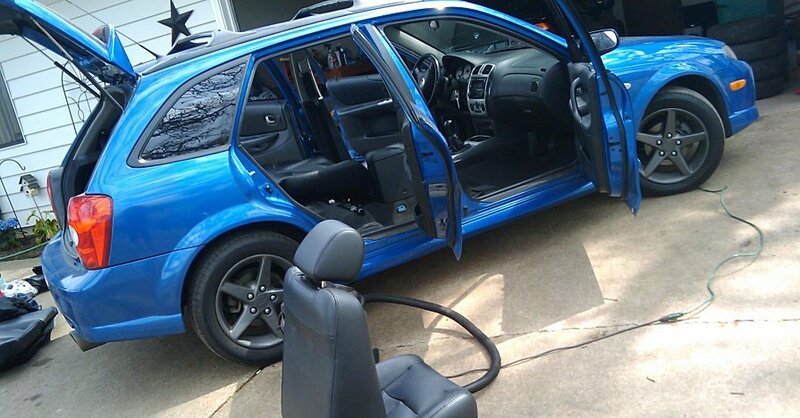 Nothing has been able to get the seat clean. A couple of months ago, we used some Turtle Wax products on a Buick GS convertible with a seriously dingy top. The Turtle Wax Power Out! Upholstery Cleaner did an amazing job on the canvas top, so now it is time to put it to the test – drink stains on a fabric seat. These seats have not been treated with any kind of stain protection, so they really soaked up the grunge. Can the Turtle Wax product get it out? 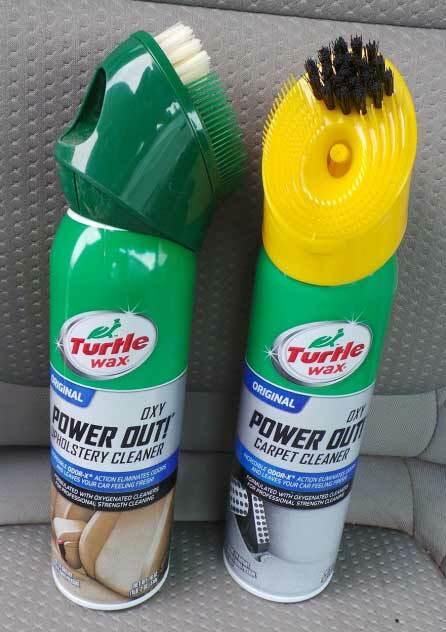 The Turtle Wax Power Out foam ups when you press the button on the can. To start, the seat was swept off. This is to rid the crevices of any crumbs. Next, the Power Out! Upholstery Cleaner was sprayed onto the offending area and then scrubbed with the built-in brush on the top of the can. The bristles on the can are pretty good for most stains. There was a bit of gum or candy stuck to the seat. We scratched that off with a fingernail. It came up easy after the Power Out had soaked in. Once the foam had been thoroughly worked into the seat, we used a dry shop towel to blot up any remaining foam. 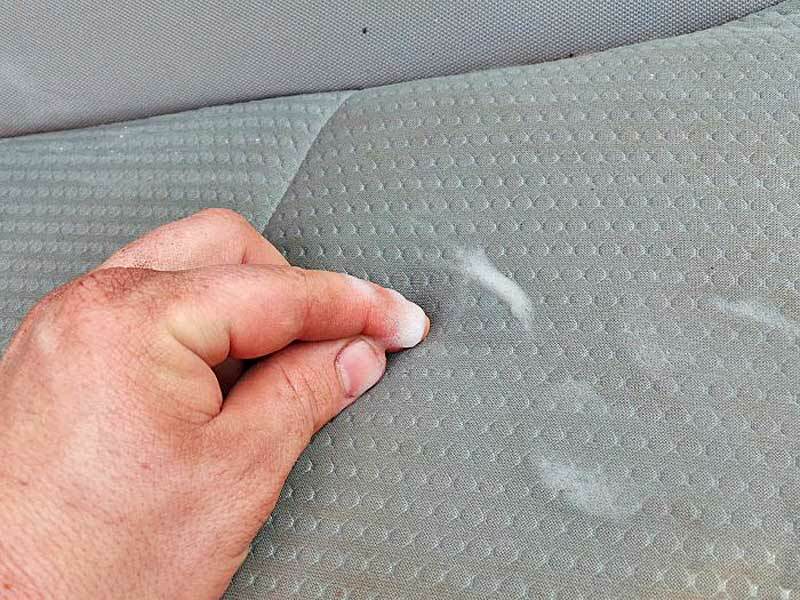 Once the seat was clean, we wiped it off with a dry towel. After a few minutes, the seat was dry and the results were in. 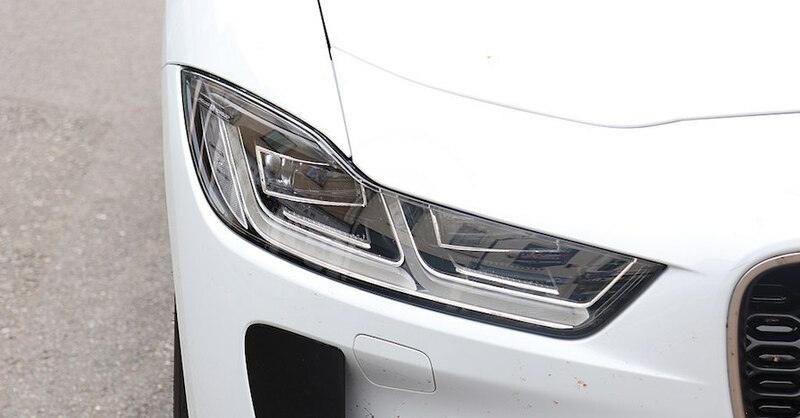 The Power Out did an amazing job of removing the stains, the section that had been cleaned looks brand new. Now we just need to set the kids to work so they can get the entire seat looking new. 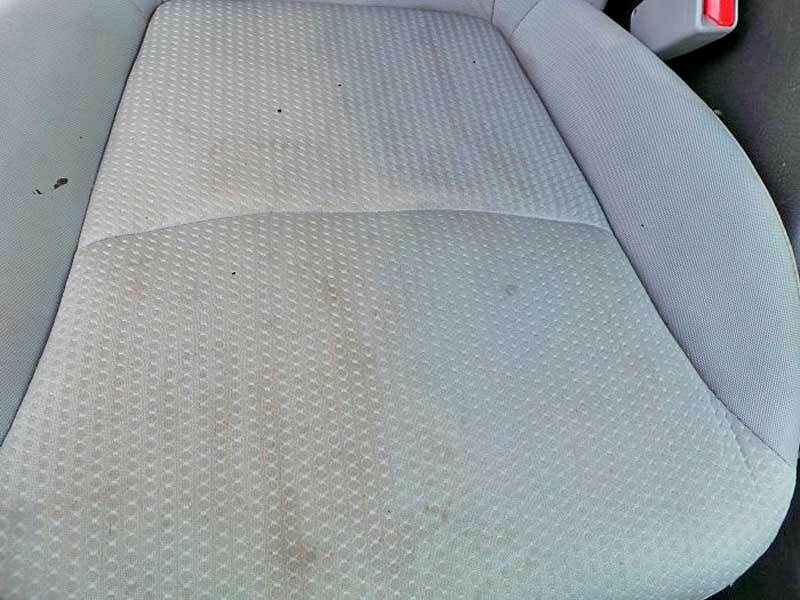 After the upholstery has dried, you can see the half that we cleaned looks new. 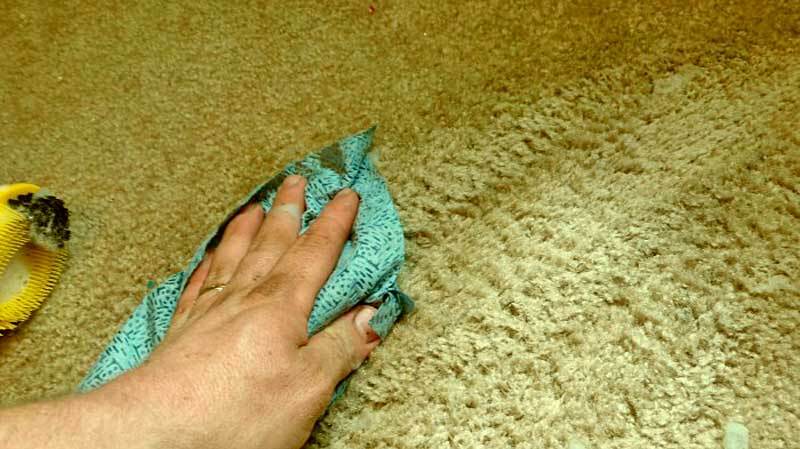 While we could have found some stains on the carpet to clean up, black carpet doesn’t show stains nearly as well as tan house carpet. Additionally, there was a particularly nasty stain in a child’s bedroom that had proven impossible to remove. Gross. That is about that we want to say about this stain. Here is the story- a 9-year old boy likes to shut his door with a cat inside his room. The cat then proceeded to, well, “use the lavatory” on the floor. 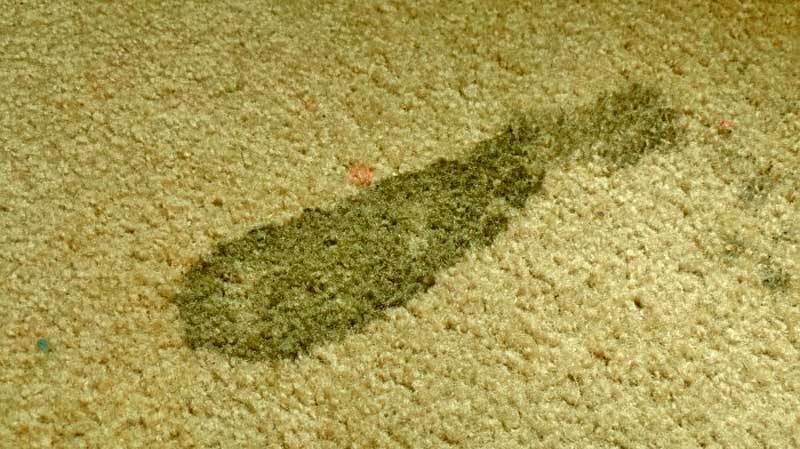 It was not found for several days, by which time, the mess had soaked into the fibers of the carpet and nothing would touch it. So we put the Turtle Wax Power Out! 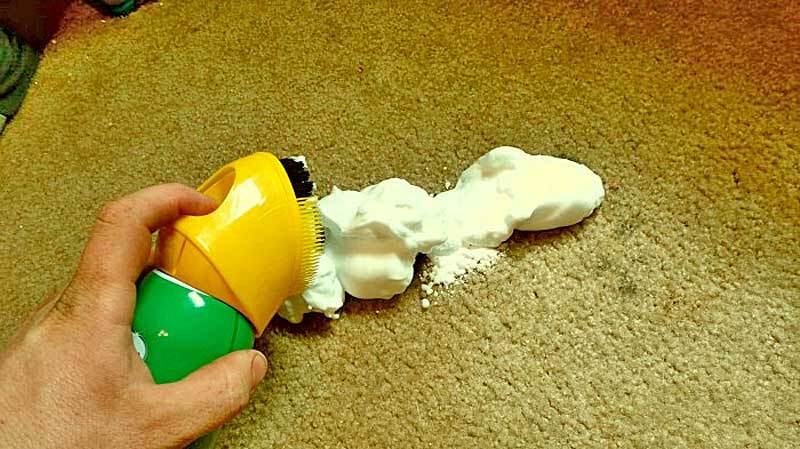 Carpet Cleaner to the test. 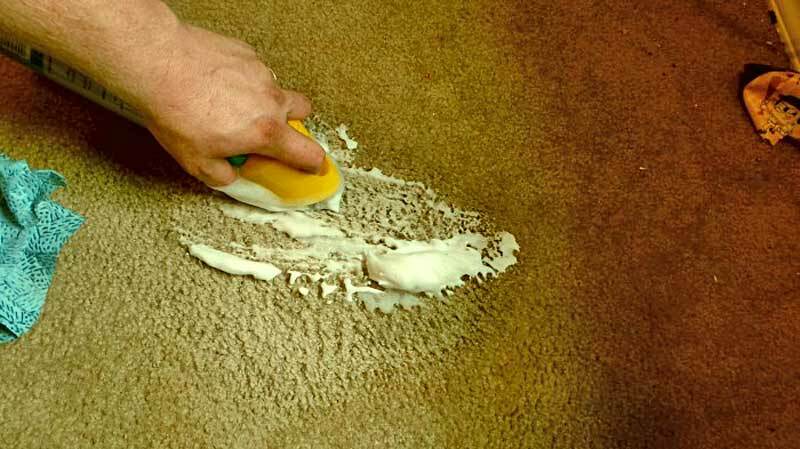 Just like the upholstery cleaner, the carpet cleaner foams up. Then we scrubbed like crazy with the built-in brush. If we had a larger area, we would have used a separate brush, but the can brush works for small areas like this. Using a dry towel, the cleaned area was blotted dry. 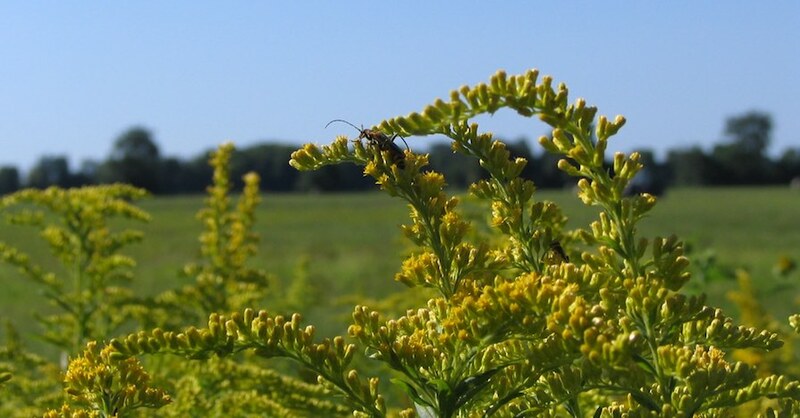 There will be residual moisture that just has to dry. Once the foam was gone, you could see the process was working. 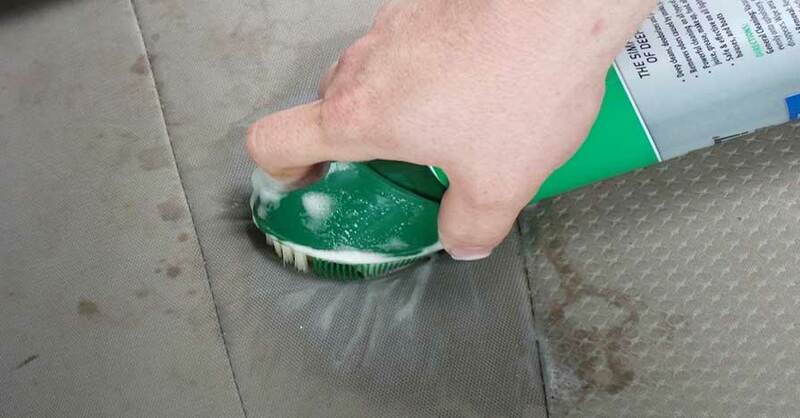 We used a clean, dry towel to wipe up any excess moisture and then let the area dry. 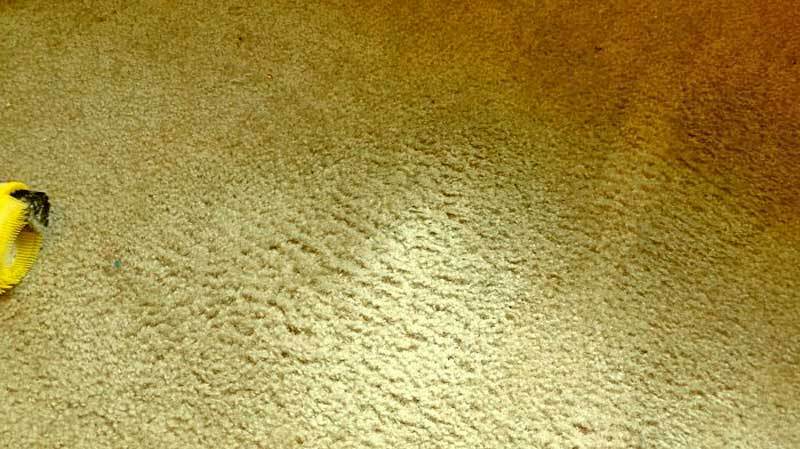 Amazingly, the carpet looks new once it dried. At this point, you can vacuum the floor to return the nap. The nasty stain is now history, like it never happened. Once again, Turtle Wax’s Power Out! 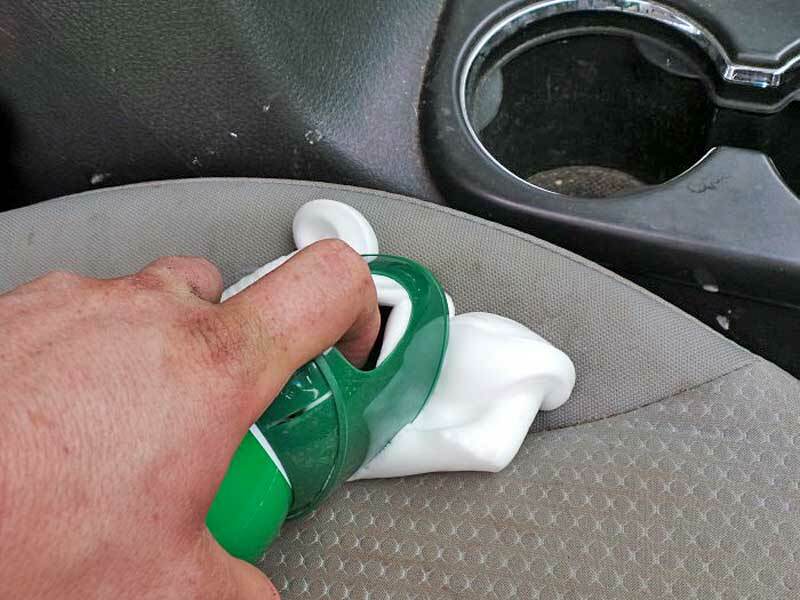 proves to be an effective tool against the most stubborn stains. This will remain a staple in our supply closet for sure. Check out all the chemical products available on NAPA Online or trust one of our 16,000 NAPA AutoCare locations for routine maintenance and repairs. 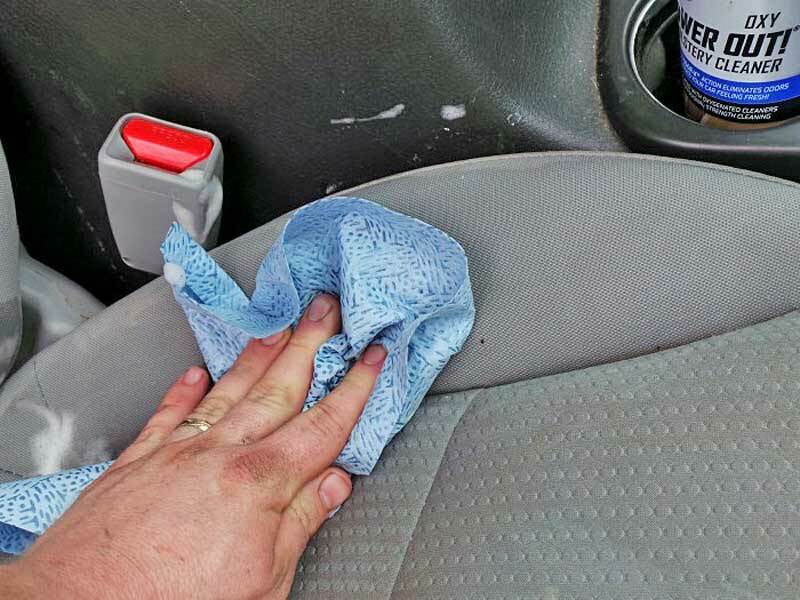 For more information on how to clean car upholstery, chat with a knowledgeable expert at your local NAPA AUTO PARTS store.